This fall, the Black Library announced a new mini-series of books in the 40k Universe's history; the Beast Arises, a 12-part series set two millenia after the Horus Heresy. Being a sucker for series and the 40k universe as a whole, I subscribed to the series, meaning I will get each book at it is released each month. With the first book having been out a month, and the next impending, let's dive into a review of Book 1, I Am Slaughter. 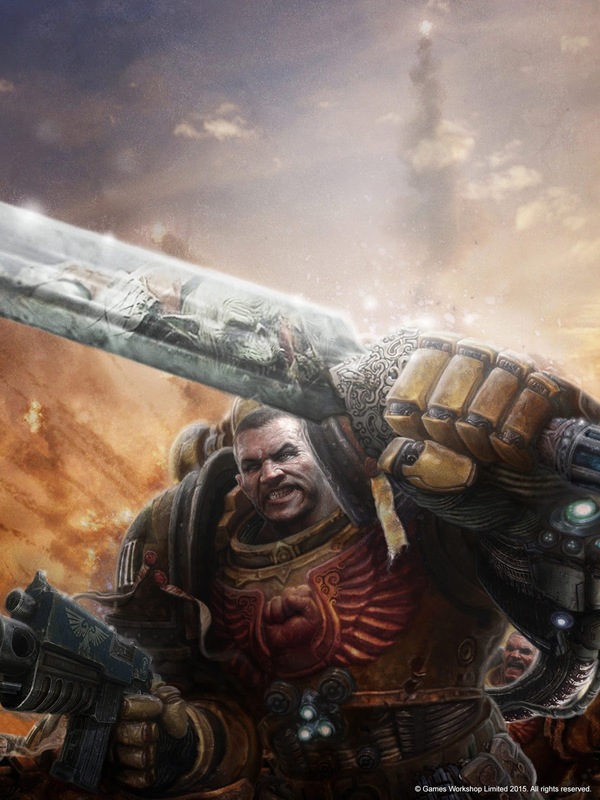 As with my Horus Heresy reviews (which I haven't done in ages), SPOILER ALERT. 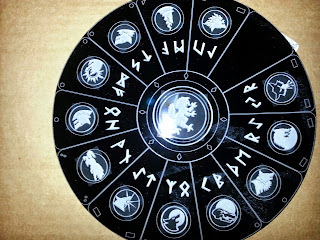 In recent posts, you may or may not have noticed some new gaming mats appearing on our tables. I recently acquired three G-Mats from Gamemat.eu, and after having played a few games on them, wanted to write up a review. As you may have noticed, we're on a bit of a "casual" gaming kick of late. 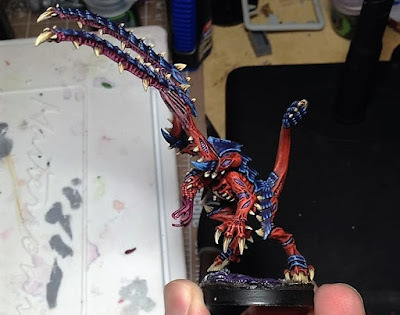 As such, I put together a Nid list I think would be a lot of fun to run and also motivate me to paint up some monstrous creatures who have been sitting around waiting for attention. A couple weekends ago, Chandler and I got in our casual "Twilight Fight, Team Jacob vs. Team Edward" Game. Chandler brought some hard punching Space Wolves to counter my hodgepodge Flesh Tearers posing as Blood Angels. We set up the board to show off a bit our new G-Mat from Gamemat.eu, which inspired the narrative element of our game as well. 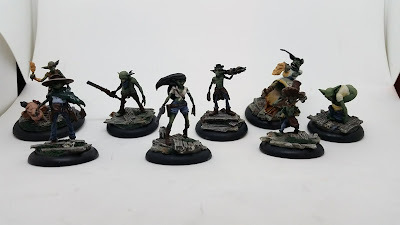 My hobby time recently has been focused on my Gremlins, and I've been pretty happy with the progress I've made so far. Last weekend, I put the finishing touches on The Kin crew box, as well as several other models that were of interest or partially painted already. What is up Everyone? 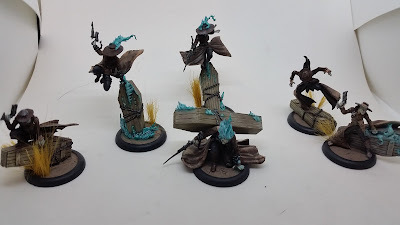 This week on the Podcast, Evan, Chandler, and Bryan come together to just talk about the hobby, some fun games we have had over the last couple of weeks, and projects that everyone is working on. With the Holiday season just around the corner, everyone is looking to get things wrapped up before the end of the year. Bryan runs down his latest Blood Angels project, Evan talks about Malifaux and some of the 40k games he has played in the last couple of weeks, and Chandler talks about his Malifaux crew he is working on and trying to beat down some Blood Angels in a Malestrom game. The Guys go Old School and hold nothing back. 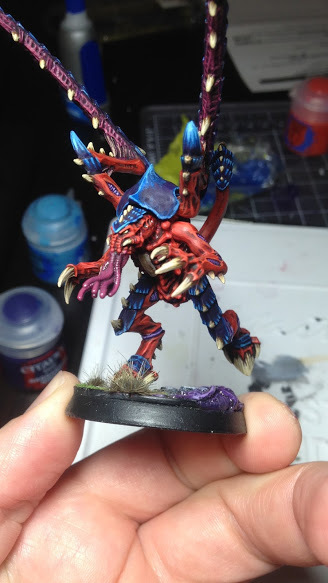 Ron here with my sixth, and final, lictor pose conversion. 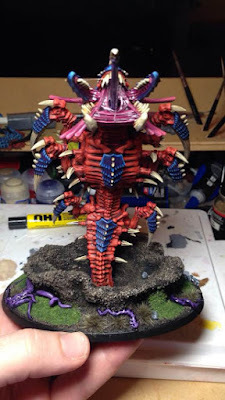 Friend of the blog Elphilo is running a GT in January at Huzzah Hobbies in Ashburn, VA. The Hammer in the New Year GT will take place Saturday, January 23, through Sunday, January 24. This five round event will be running ITC FAQ and Missions as a great prep for anyone going to LVO, or anyone who wants to try out the format in a pretty competitive event. The field is limited to 32 players, so be sure to reserve your spot while you still can. I know some of my local guys are planning on making the trip - I would love to but don't think the schedule will work for me. That said, Phil always runs great events and the competition should be fierce and fun. One of my first commissions, that has taken me too long, was to paint up six Malifaux Guild Death Marshalls, three metal first edition, and three plastic second edition. These were to be above table top quality, bordering on display quality. Jesse wanted them to be in a "high undead" style, with green tinged pale skin, dusty looking overall, and some minor Object Source Lighting from the greenish blue flames. 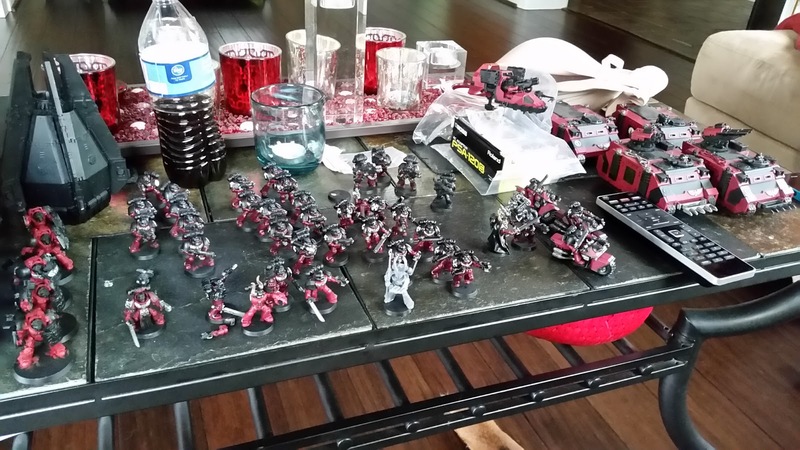 Last week, Chandler mentioned that we were planning a "Twilight Fight" between his Space Wolves and my Blood Angels/Flesh Tearers. Due to schedules, the game is a bit on hold at the moment, but generally this is something we're looking to do sooner than later. Don't mind all the random crap in the picture. My list building is generally being limited to the models I have, and specifically those that I bought already painted. That said, I do have some flexibility in terms of Detachment choice. 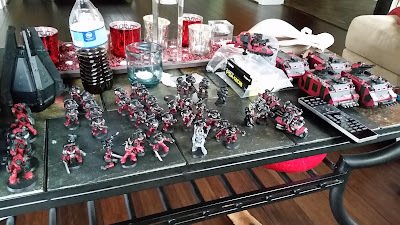 Honestly, the best way might be to take them as red and black Codex Space Marines. That said, the idea is to stick with the armies we have and keep it a fluffy fight. What's up guys? 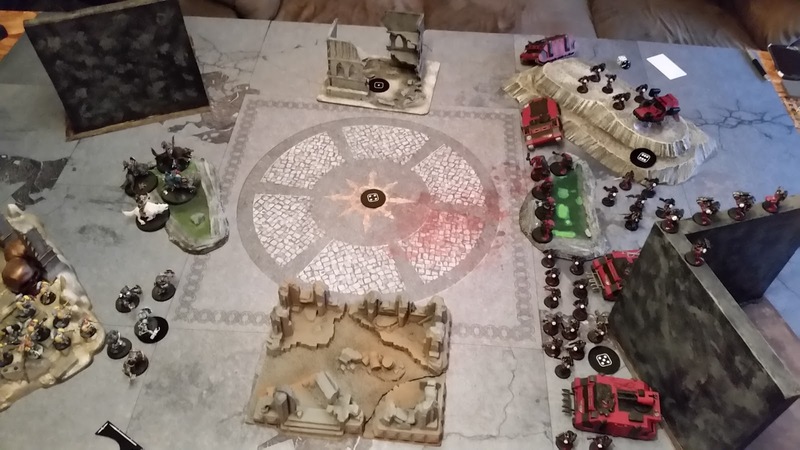 After last weekend, Evan and I were joking around that we should do a "Twilight Fight," or in simple 40k terms, Blood Angels vs. Space Wolves. So we were talking about a fun game where we would try to limit the amount of craziness that comes to the table. Since I love my Wolves, I will be representing the hairy, hungry beasts from the East. I thought about what would be fun, what would be themey, and what would be seen in a Twilight Game. So I decided to go old school and bring an on the ground, beat face, foot slogging 1500 list with the ability to go up to 1850. 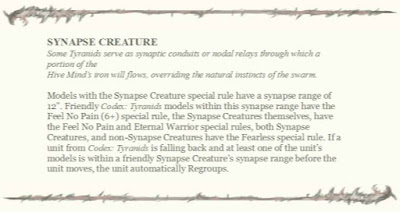 Trying to get some information on perceived power levels and which units are broadly considered best in the current state of 40k. Your answers do not need to be in any particular order, but pick your top 5 most powerful units (including single model units or characters) in the game. That was it. I got lots of comments about needing to qualify what I was looking for, but in the end I think I made the right decision by doing as little as possible to put any sort of lens or scope on the results. I got about 200 respondents, who contributed 772 units they considered the top units in the game. Thanks to everyone who responded. What is up Everyone? This week on the Podcast, Evan and Chandler are happy to sit down and talk with Mr. Paul Murphy on the Eve of the Warzone Atlanta Tournament. We asked Paul to come on to talk about the great sponsors, the amazing prizes, the overall tournament, and also to announce a promotion (look in the show notes below). We also asked Paul about prepping for tournaments and what he would do not only for the Warzone, but what he would do for any tournament. Finally we help our buddy Geoff in Toronto with some Blood Angels lists. I mean, who better to ask about Blood Angels then the Warmaster himself? TPM shows up again to help us with a little of everything. Hello everyone. 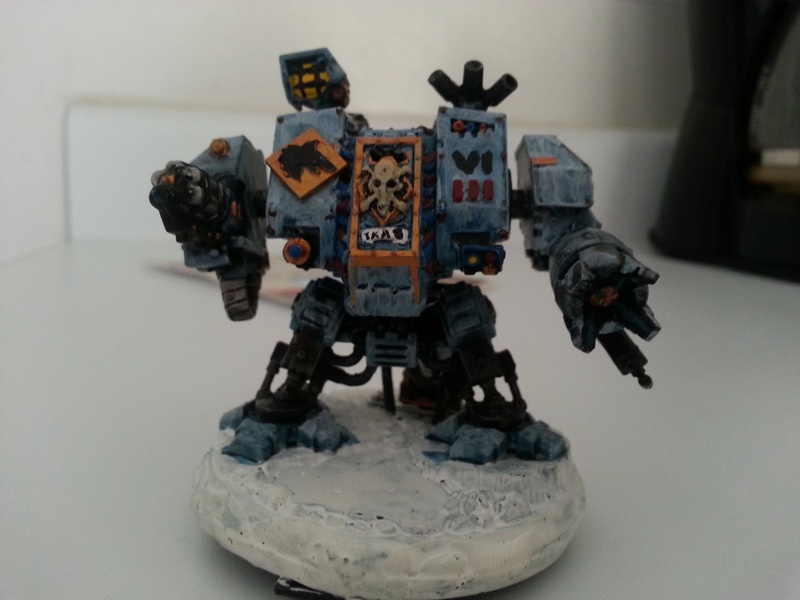 Wolf Works Lighting here with the completion of our Dreadtober LED Dreadnought. 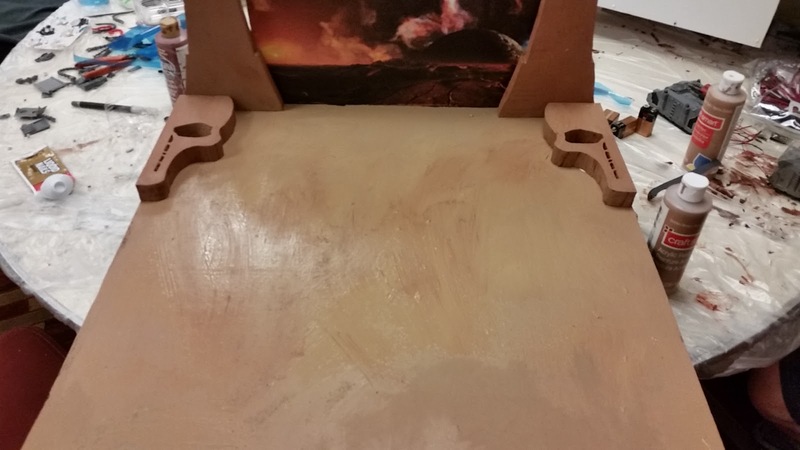 For this Project, we started thinking of what to do when Greggles posted about painting a dreadnought (or equivalent) in the month of October. 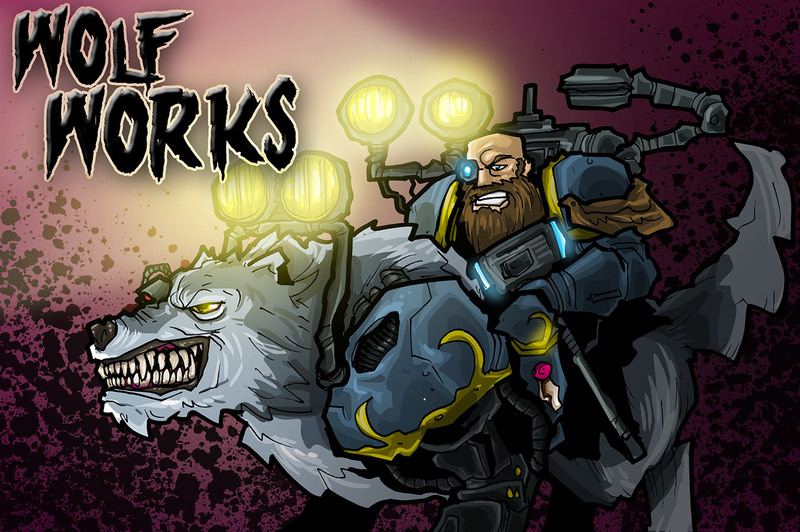 Needless to say, we were excited, on board from the get go, and we are finally ready to show off our LED Wolf Man Dread. What is up Everyone? This week on the Podcast, Evan, Chandler, and Bryan decide to clear the air, unleash some frustration, and give their opinions on some of the big topics being discussed in the 40k World. This is something that we have been discussing in private and decided that it might be good to get it out into the world, and get other people's opinions. We love this game, and we want this game to be as fair and open to everyone as much as possible. It is a little early for Festivus, but we are still airing our grievances. A couple of years ago, when the Blog first started, I tried to come up with a fun mini-game that we could play on the side. Inspired by Greggles and his Dreadtober idea, I decided to throw my Hat into the ring as it was, and come up with a fun mini game. Enjoy! I'll paint whatever I want! 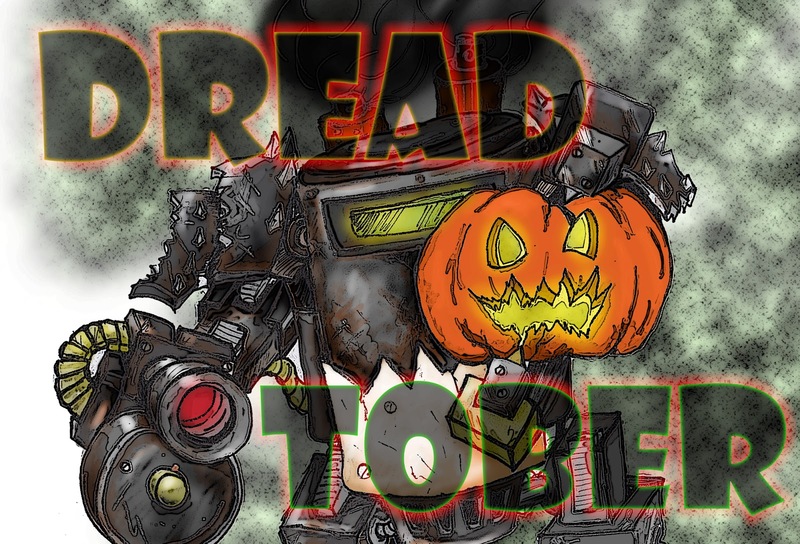 Also Dreadtober! Man, there are few things more liberating on the hobby front than NOT having to paint to get an army ready for a tourney. It seems like since winter of 2013 I have always had a to do list based on an upcoming GT. What is up Everyone? This week on the Podcast, Mr. Ben Cromwell joins us to talk about everything from traveling, to sight seeing, to smashing international face. Ben is one of the top players in the nation and has been able to play in the NOVA Invitational, LVO, BAO, ATC, and the ETC. He also comes in to talk about one of the hardest things to do as a Tournament Player: finding a good bar. Totally kidding, we talk about prepping for different tournaments, some of the things to do and not do, and of course, how to have a good time. Ben grabs a boogie board and shows us the West Coast Way. With NOVA 2015 in the rearview, I have debated what would be next for my Necrons. The first thought was how I would adapt the list to ITC format, not that I have plans to attend an ITC event anytime soon. Of course, it also begs the question of whether my list would work at all in an ITC format; I would have to cut the Aspect Host and two Canoptek Harvest formations. 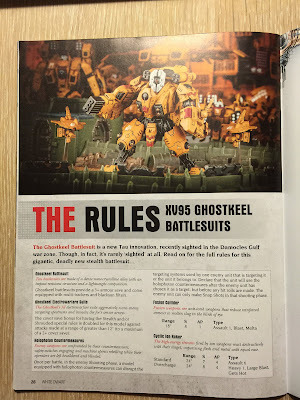 This presents a big problem for the list (as cutting almost half of any army would). 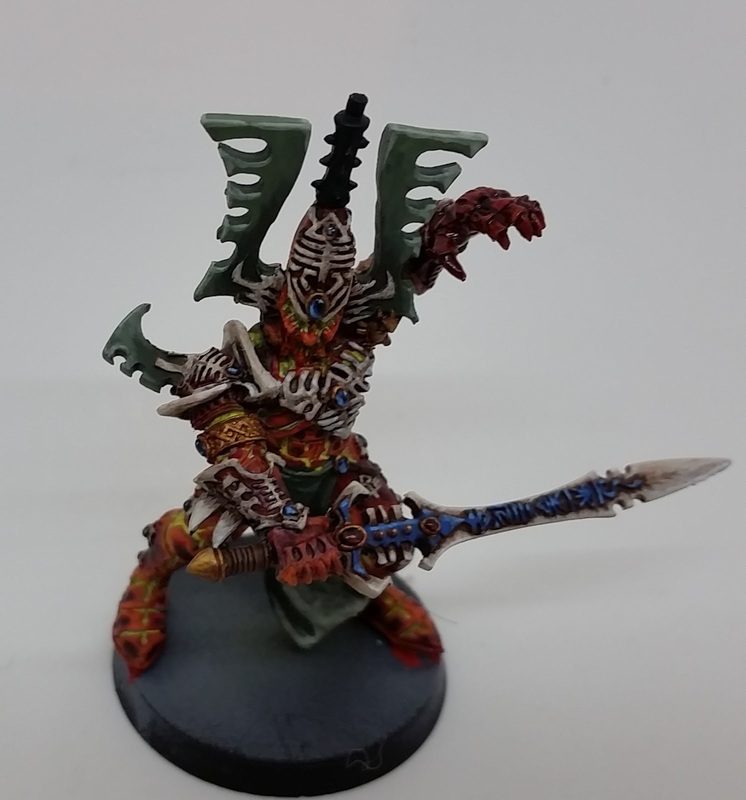 So, for this post, what can I do to make a Necron list I like that isn't Arachnophobia? So almost 1 year ago, I put forward a challenge to myself to try to have all of the 12 Wolf Lords for the Space Wolves. I had ideas that I put forward, but because of life, school, and other factors not related to 40k, I fell behind. I am proud to present 3 models to represent 2 of the Wolf Lords I needed to Create. They are Bran Redmaw and Erik Morkai. These are works in progress and I still need to paint some of them, but I figured a quick update would be good. 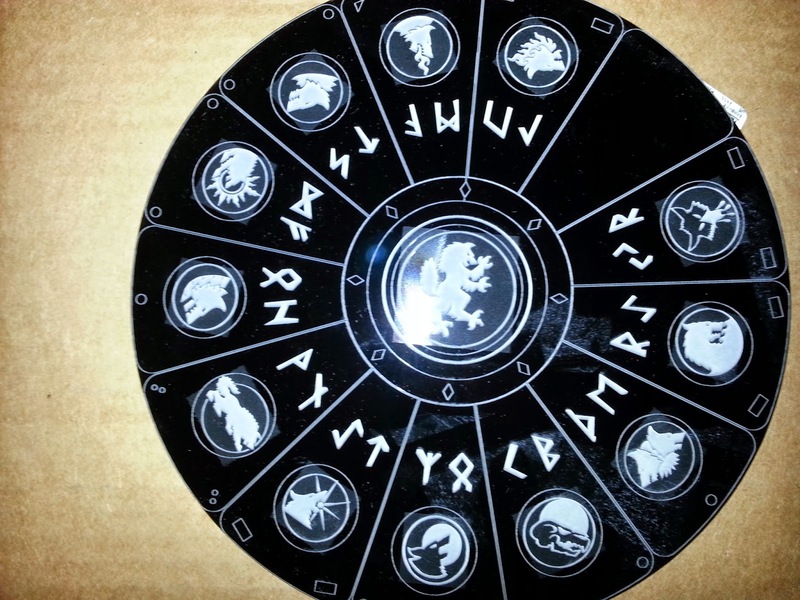 Just a reminder, GW has models for Logan Grimnar, Ragnar Blackmane, Harald Deathwolf, and Krom Dragongaze. 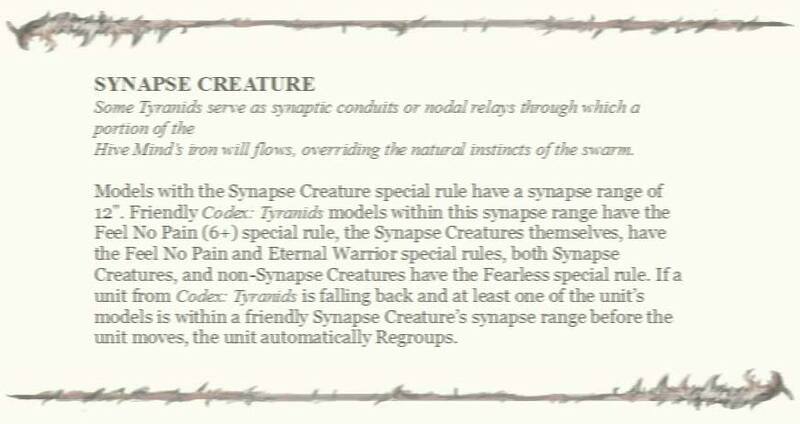 They did show a Potential model for Bran Redmaw, but it was never sold. 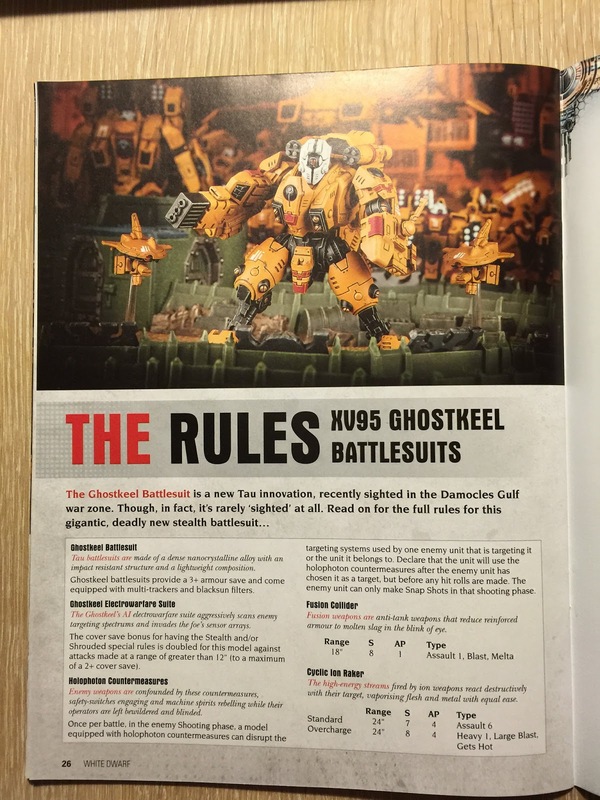 So the rules for the upcoming Tau Ghostkeel Battlesuit have leaked, and it has a bit of a rules algebra that could be interesting, but is pretty cool overall. 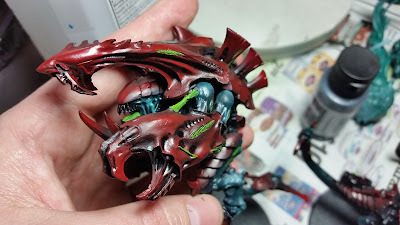 As mentioned a couple weeks ago, while I got the majority of Phil's Eldar army done before NOVA, I still needed to wrap up the Avatar. This weekend, somewhat at the last minute (as he's taking the army to Battle for Salvation this weekend), I finished up Phil's Avatar and got him mailed off. Phil wanted to do the base to match. What is up Everyone? 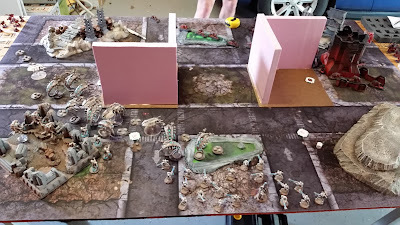 This week sees a familiar face join the Podcast again; Mr. Paul Murphy of Forge the Narrative Podcast comes in to talk about the tournament that he is helping to put on in Atlanta called Warzone Atlanta. He stops by for a quick segment and then Bryan, Evan, Ron, and Chandler run down a whole lot of stuff that has been on their minds. 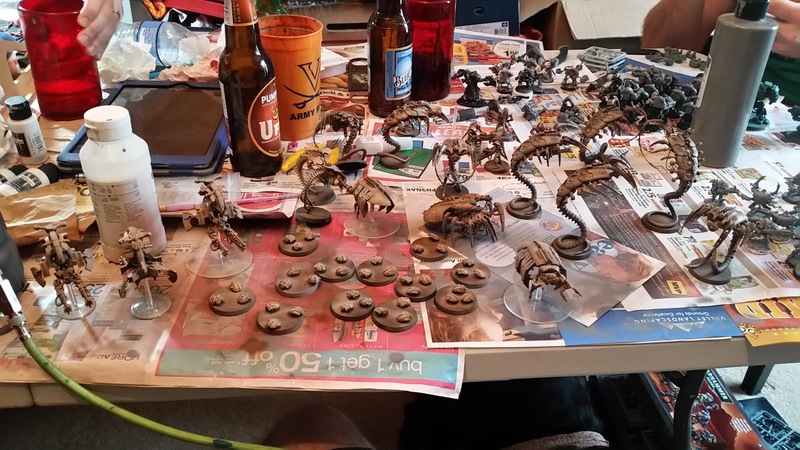 We jump from 40k to Star Wars Armada to Painting and Malifaux. 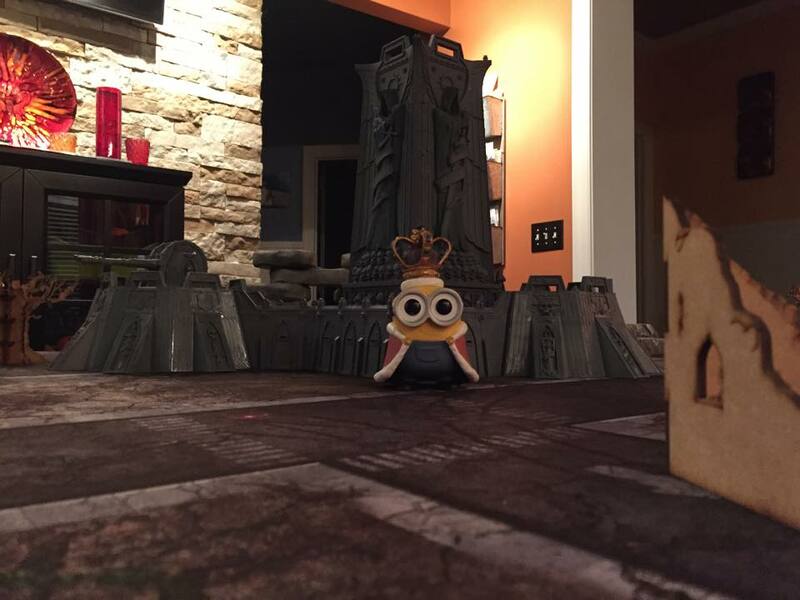 We are talking about all of the other fun games that we are playing in addition to 40k. The Leader of one of our favorite groups of people and podcasts stops by and we are always ready to sit down and talk the night away. I was recently volunteered to participate in Dreadtober by friends of the blog, Todd of SincaiN40k and Greg of Feed Your Nerd. In turn, I conscripted Chandler to help/create an entry of his own. The concept is simple - take a month and have fun with assembling and painting up some variant of Ork Dread/Kan, and share and show off the results. Escaping the hobby desert: Wait I have to roll for how many powers? Welcome to the Craftworld, the first scarf is on us! As I mentioned in my last bat rep post, I ended Friday 3-0, and began Saturday matched up against Frontline Gaming's Frankie. Game 4 was Points and Regions, which is a board quarter mission. Honestly, I felt pretty lucky to run into Gladius on this mission and not on the other three missions. The board quarters made Frankie's army-wide Objective Secured much less important than an objective based mission. What is up Everyone? 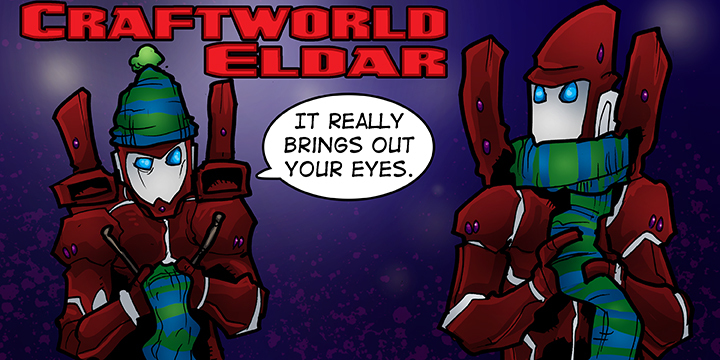 This week, Evan, Chandler, and Bryan bring a friend back from the NOVA. Mr. John Parsons comes in to talk about the NOVA, Tournaments, Building Lists, and basically how to be a complete BA both on the table and off. He talks about how he preps for big tournaments, what he looks for when building for a tournament, and what can trip lists up when you are at a tournament. Of course Evan and John have an epic throw down at NOVA by swapping lists. The boys welcome a new friend onto the show and John brings the knowledge and a lot of humor calling certain things out. In the week leading up to NOVA, I was off of work (between new and old jobs) and asked around if anyone had some quick turnaround commissions they were looking for. Sure enough, Phil had an Eldar army he was looking to put together and wanted it painted, predominantly at a tabletop level. 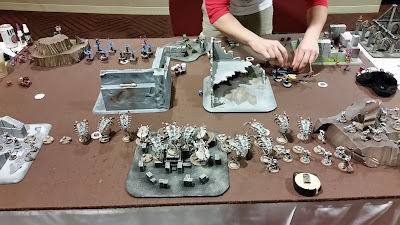 The models he needed were 18 Scatter Laser Jetbikes, 3 old jetbikes, 6 Warlocks, and 4 Farseers, as well as an Avatar. My most recent Torrent of Fire article is up, and I look at the stats from this and last year's NOVA and evaluate my predictions for the top bracket. The Imperium represented about as predicted, and did much better than I thought they would. Check out the full article. As promised in my Bat Rep against Alan Pajamapants, we're moving on to the GT. 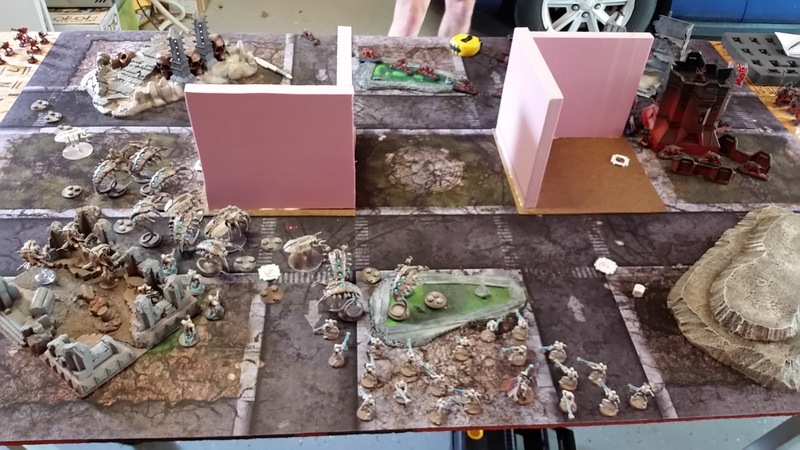 After losing to Alan in Round 1 in the Invitational, one thing I did with my free time was participating in two display board classes, where I met a few other GT players. After chatting and telling them my list, they jokingly said they hoped to not see me the next day. As luck would have it, Round 1 I saw myself up against Brian. Even worse for him, he was running Lictorshame, which I know very well and is honestly a terrific matchup for my list. I'll start my battle reports with the first game of the Invitational on Thursday against Alan "Pajamapants" Bajramovic. This was probably actually the best documented game of the weekend, and I managed to take a picture of almost each player turn. Hey Everyone. For today's installment of my NOVA Recap, I'm just going to dump in a bunch of the pictures I took while away from the gaming table. For more, be sure to check out Greg's great series of pic dumps, as well as the official NOVA photos on Flickr. 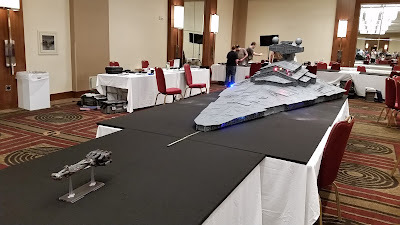 While I am still recovering from this year's NOVA, I thought I would put together a quick review/overview post. Pic dumps to come, as well as more detailed BatReps, but for now, if you're just looking for some pics of the armies at the event, I suggest checking out all of Greggles's pics over at Feed Your Nerd. What is up Everyone? This week on the podcast, Bryan, Ron, Evan, and Chandler sit down to get some business out of the way. 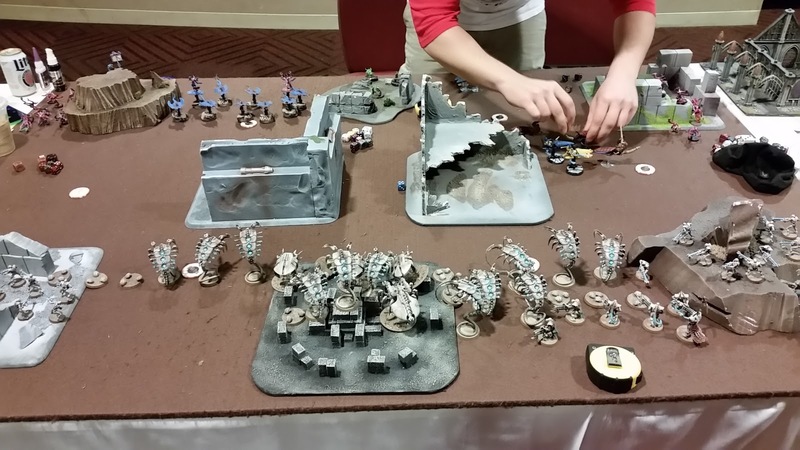 Ron and Evan have both gotten invitations to the Invitational 40k tournament and are bringing some beat face lists but going up against some of the most recognized names in all of 40k. We also had Geoff from Toronto hit us up and ask for advice in coming up with a fun but competitive Nid List. Allies are welcome and we sat down to pull our heads together to bring our best, competitive, and fun list we could think of. Join us as we prepare for NOVA and Crank out some lists for a Loyal Listener. The Countdown is on, and The Boys are feeling Pumped! What is up everyone? It is another Friday and another Podcast is ready. This week on the show saw a return from one of our favorite TO's and Life Coaches, Mike Brandt. Mike joined us as he did last year to promote the NOVA, talk about everything that is going on this year, some new events, some new features, and all the shenanigans we could fit in before his phone died. This is Part 1, where Mike talks up the NOVA and the boys are excited to talk shop. To end the show, Evan talks about his newest list that he has thrown together that brings Necrons and Eldar to the field. It is a little something we like to call Arachnophobia. Brandt is Back and ready to lay out everything NOVA. In case you haven't heard, this is a pretty big event with a lot of great things. 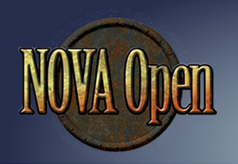 After some finagling and politicking, I managed to snag myself a NOVA Invitational slot. As a result, I won't be able to play in Trios on the Thursday of NOVA. Fortunately, Rick stepped up and offered to take my place on the team with Todd and Ron. Looking at the countdown to the right, time is quickly running out and I need to lock down my lists and knock out some painting.